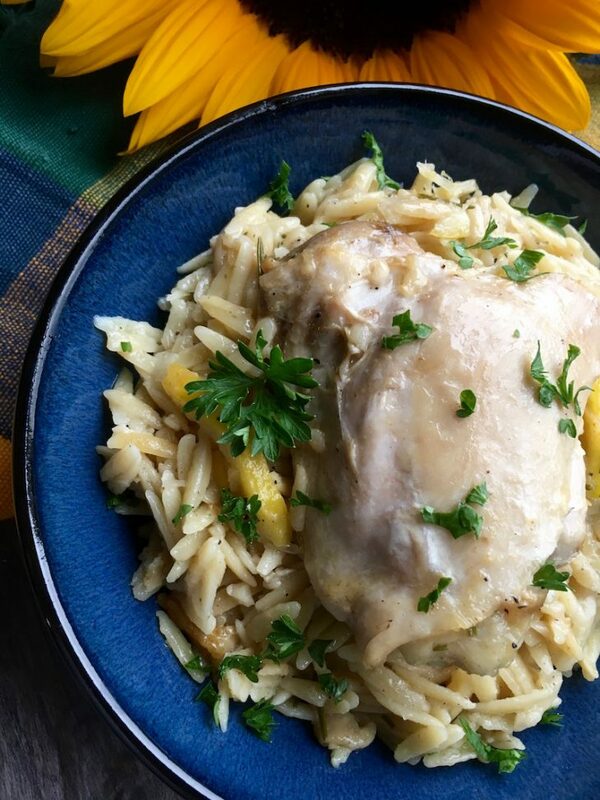 This one-skillet lemon chicken orzo recipe is perfect for those busy weeknights when you want something quick and satisfying that won’t dirty every dish in your kitchen. This recipe pairs bone-in chicken thighs with lemony orzo for a hearty meal you can have on the table in just over half an hour. Freshly grated Parmesan cheese, to serve | 1/2 ounce Parmesan cheese per serving has been added to Freestyle point count. Uncover and continue simmering until most of the excess liquid has been absorbed approximately 2-3 minutes. Stir in chopped parsley and season with additional salt and pepper, if desired.